Trying to figure out what is 1900 military time? We can help! Below we will walk you through how to break down 1900 military time and convert it to standard AM/PM time. Once time gets above 1200 it can be difficult to sort out what time it actually is in regular time (standard AM/PM time). That being said, if it is 1900 military time or “nineteen hundred hours”, simply subtract 1200, add a colon between the hours and minutes, and attach a PM to the end. You add a PM to the end of any military time 1200 or greater. 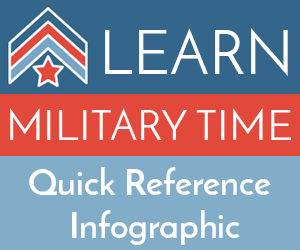 What is 1900 Military Time in Regular Standard AM/PM Time?